Home/Annoucements, Canyon Routes, Coal Creek Flood/Highway 72 – permanent repairs – starting April 1st. CDOT and prime contractor, M.A. 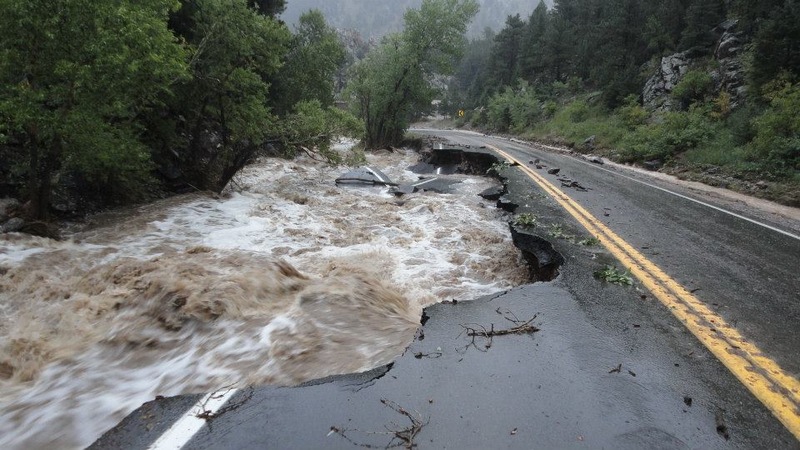 Mortenson, begin a major reconstruction project in April to repair damage from the 2013 floods. The project includes widening sections of Colorado Highway 72, replacing culverts to meet current standards, replacing guardrails, and drainage and roadway improvements. While emergency repairs at the time made roads passable, permanent repairs will mitigate future damage. The project is along 12 miles of CO 72 between Plainview Road (Mile Point 12.3) and Pinecliffe (MP 24.6) in Coal Creek Canyon. This section of CO 72 provides access from the west side of the Denver metro area through Coal Creek Canyon to Nederland. This project is expected to take approximately 195 working days, with completion anticipated in summer 2020. Construction will occur Monday through Friday, from 6:30 a.m. to 5:00 p.m. Construction schedules are subject to change due to weather. Affected businesses and residents can call or email at any time during the project for assistance. Construction will impact all motorized and non-motorized traffic. Travel restrictions are necessary through the entire work zone between Plainview Road, which is approximately 1.7 miles west of CO 93 in Jefferson County, and Pinecliffe in Boulder and Gilpin counties. At several locations, CO 72 will be reduced to a single-lane, with alternating traffic controlled by both automated signals and daily flagging operations. Bicyclists will not be allowed to travel through the work zone due to a limited road width under the single lane configuration and to prevent travel against the flow of traffic controlled by the temporary traffic signals. Uneven or gravel road surfaces may exist. All traffic restriction schedules, updates, and lane closures will be posted on COTrip.org. We apologize for any inconvenience this may cause, but this permanent repair project is critical to upgrading this section of the CO 72 corridor that is susceptible to floods. Additional project information is available at www.codot.gov/projects/floodrelatedprojects/co-72-coal-creek-canyon-1.